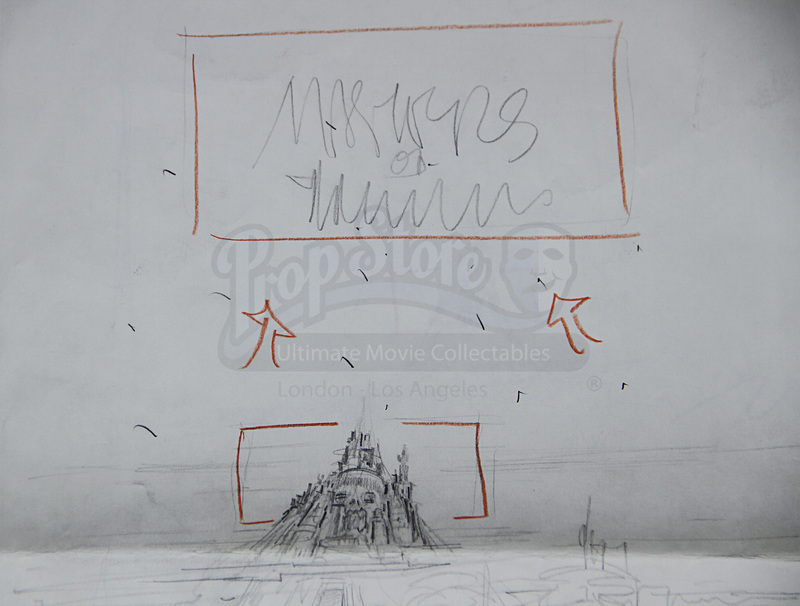 A set of storyboards used in the production of the science fantasy film Masters of the Universe. 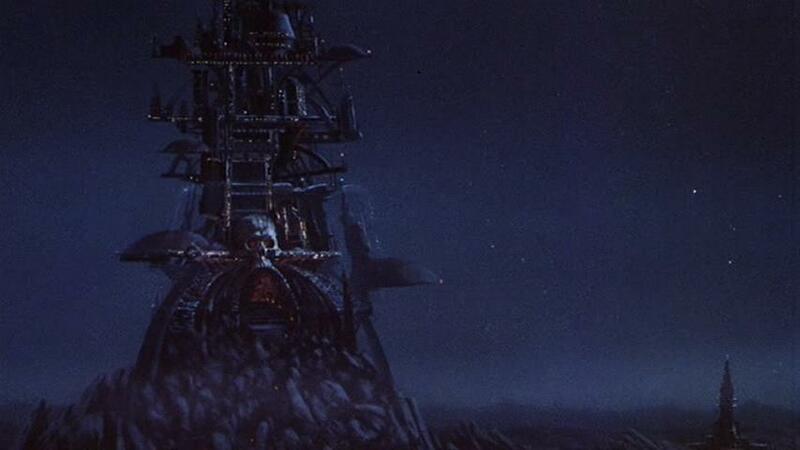 Forced to flee Castle Grayskull after an invasion by the evil Skeletor (Frank Langella), famed warrior He-Man (Dolph Lundgren) and his companions use a Cosmic Key to flee to Earth. 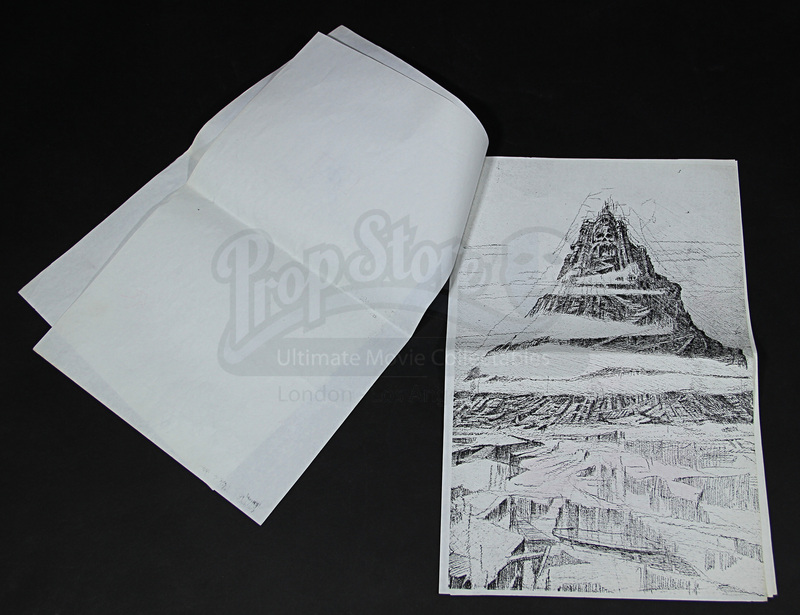 Will they be able to save Eternia, or will they be stuck on Earth forever? 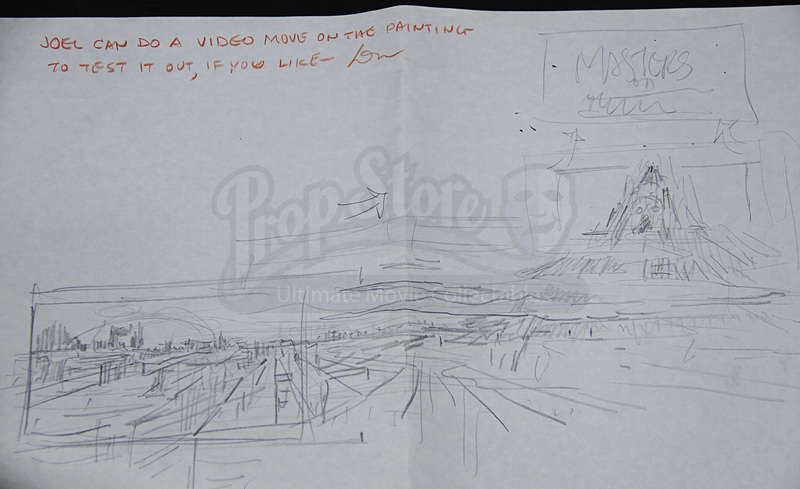 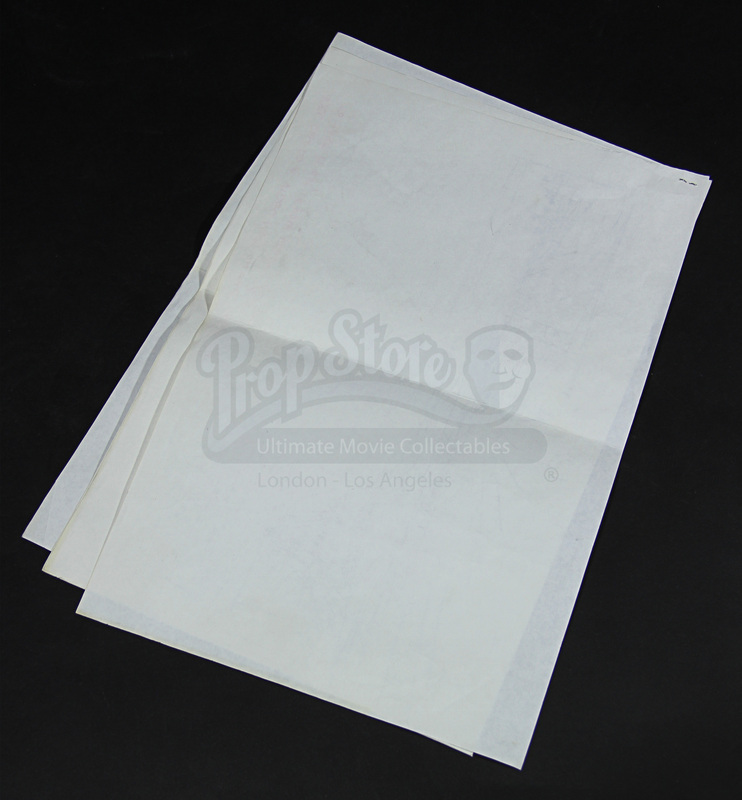 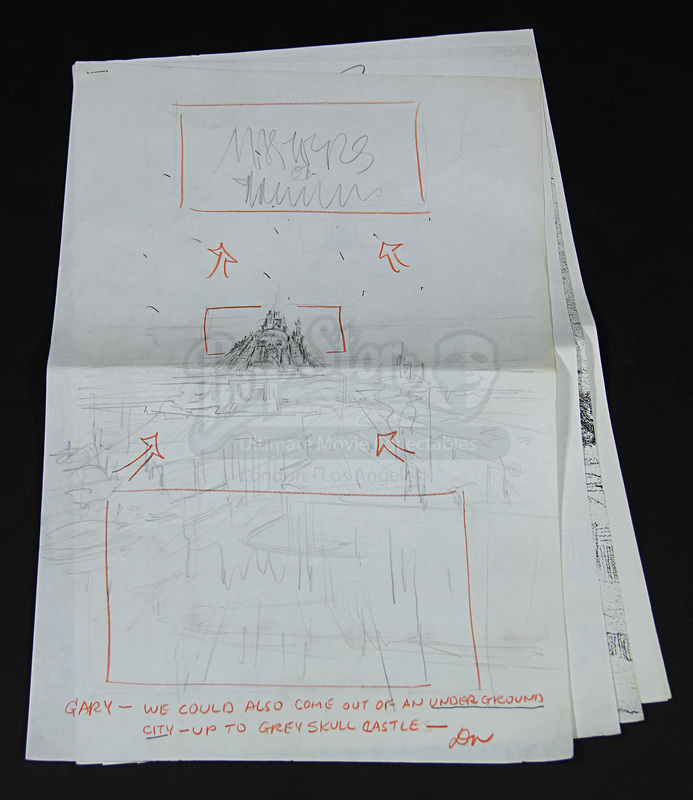 Acquired from the collection of esteemed VFX supervisor Richard Edlund, this set of hand-drawn storyboards was created to detail the opening credits sequence of the film, with a long sweeping shot of a matte painting of Castle Greyskull. The set features four long pages with hand-drawn sketches and a photocopy of concept art showing Greyskull in all its glory, with marked areas showing camera moves and notes between director Gary Goddard and a senior member of the production crew. 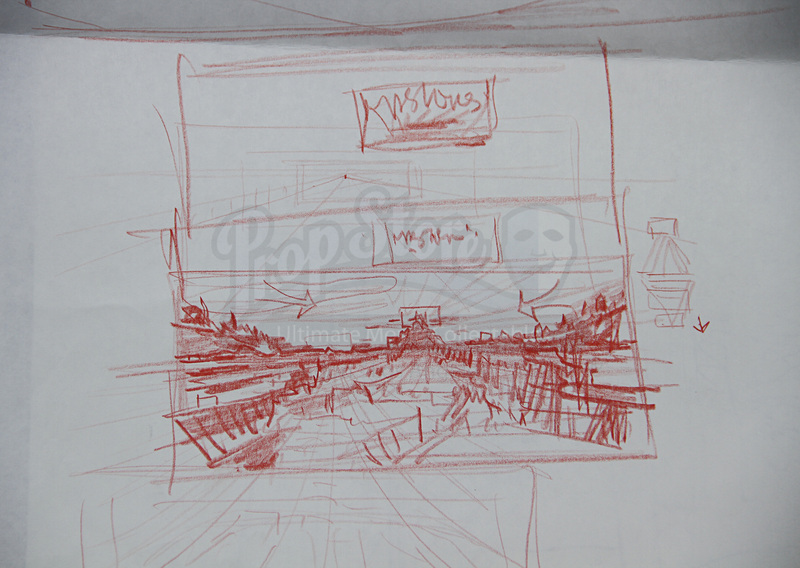 Displaying some minor wear from use, the set of storyboards remain in very good condition.